This week we have Simon Hawkins from Party on the Rec in Shrivenham and Jennie Rainford from Lechlade Festival. Music from Aural Candy, Jimmy Moore, The Shudders, Rumour Shed, Bateleurs, The Black Hats, Absolva, Rachel Gittus, Babylon Fire, Three Minute Tease, Port Erin. At a time when acoustic based music sessions seem to be in a state of flux, either moving locations or packing up altogether as pubs decide that music has no business currency anymore, it is pleasing to know that one of the longest established sessions is still going strong. The Lazy Sunday Afternoon Sessions at The Arts Centre Café not only seems to be weathering the storm well, it is also managing to retain an amazingly high standard of bookings as this, their second compilation will attest to. The music ranges from the delicate and wonderfully understated pop roots piano of Alice Offley, whose Save Me is a gorgeous journey through the fragility of music and a heart felt lyric to the fuller and more sumptuous folk harmonies of Fieldfare’s Forget About Me. Bands are well represented by auralcandy doing a neat line in mellow, late night bluesy balladry and soulful reflection, The Portraits, a string driven folk sound layered with choir like vocals and of course the session hosts, Mr Love and Justice with their trade mark mix of sharp acoustica and historical content. Usually known for a more driven delivery, Bateleurs are represented by one of their more mellow moments, The Hurricane, a song that offers up old time Americana imagery and a tune that The Band would have loved to get their hands on. The Solo acts found here prove that acoustic players don’t automatically have to sound like Ellie Goulding or Ed Sheeran. Minnie Birch for example uses imagery on Settled akin to the more fanciful end of Suzanne Vega and a lovelorn, melancholic delivery that is mesmerising. There is something elemental about Drew Bryant’s music both in form and message, a classic example being Singing Love at The Wind, Pete Taylor’s picked fret work and crystal clear vocal style is both elegant and eloquent and one of my favourite local artists, Nick Felix, provides the usual mix of world weariness and total positivity, as always a total joy to listen to. As an advertisement for the standard and style of the monthly sessions, this is a brilliant calling card. 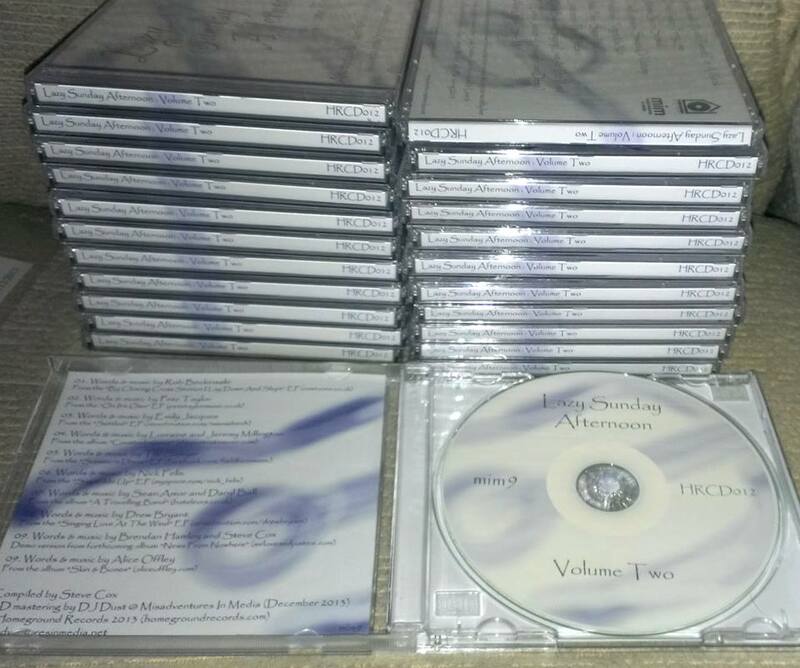 So buy the album from http://homegroundrecords.com (and at £5 it is 50p per track – cheaper than most downloads!) and get along to one of their shows and experience it in all its glory. There have been some really awful band names throughout history. After a local disaster left a band’s rehearsal space a watery mess, the inspired name change didn’t result in something eloquent, such as Missouri River Flood but instead the god awful Puddle of Mudd! The pretentiously named The The sounds like an up date on that classic Abbot and Costello routine and then we have The Sultans of Ping F.C. I mean, what sort of a name is that and who cares where their jumper is? There have been some great names too, such as Camper Van Beethoven, Mary Tyler Morphine and the brilliantly named Kathleen Turner Overdrive. Aside from being clever, some are just wonderfully evocative… The Velvet Underground, Drive By Truckers, Throwing Muses and you can add to that list Troubadours of Divine Bliss pictured) who play at The Beehive tonight. 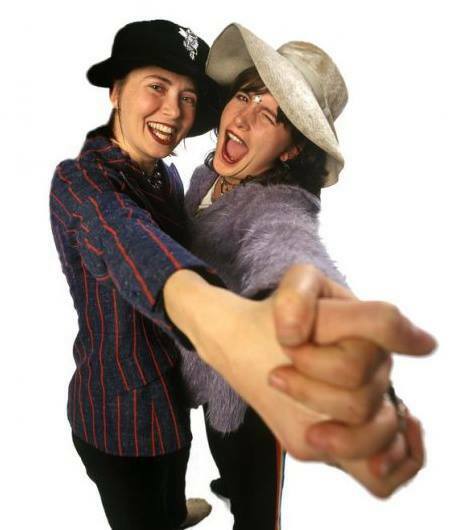 This lusciously titled duo fall roughly into the Folk Americana genre, with all the camaraderie and vocal harmony of The Indigo Girls but with a neat sideline in weird Vaudeville and sultry narratives. A more English take on similar vibes can be found in the top bar of The Victoria in the shape of Elliot Hall and Rapunzel and their alt-country meets boho-folk. If prog-rock is more your thing then a trip out to Riffs Bar is on the cards. Credo take the classic sounds of the eighties neo-progressive bands such as Marillion and IQ and blend it with the more peripheral sounds of the genre such as Magnum and Asia and drive the whole lot kicking and screaming into the modern age. Friday sees the return of Anglo-Swedish wunderkinds We Ghosts to the Beehive, taking elements of pop, jazz, folk and blues and blending them up into eerie and atmospheric songs. The Victoria has it’s semi-regular gathering of roots bands, spearheaded by local funky, lap guitar bluesmen, HipRoute and the return of a band that last time really impressed me, The Sam Green Band. Opening the night are Grizzly and The Grasshopper who sound like a funky take on Del Amitri. Always a winner in my book. The Rolleston takes the brave step of hosting a fairly controversial act who’s name is even too risqué for such a newspaper as this. Let me just say that this act has the perfect billing alongside 2 Sick Monkeys and Ian Doeser and you should get an idea as to the nature of the beast. On Saturday, David Marx’s brings his current musical vehicle to Riffs Bar. Marx has a long history of making music in this town but has been away for a number of years, so the chance to catch him on his current tour is recommended. The songs neatly blend depth and delicacy with high octane rock and roll and explosive melodies. Support comes from acoustic balladeer, Billyjon and all the way from Toronto and normally found fronting indie-punks Dead Letter Dept. Rob Moir steers his first solo tour your way. Something a bit different can be found at The Wootton Bassett Academy with a “Later with Jools Holland” style show featuring the best in roots genres with Ian O’ Regan, Blues Reviewed, Vapor, Alan Pettifer and Hilary Pavey Mills, all helping to raise money for worthy causes. At the Victoria the Four Fighters pun and perform the music of The Foo Fighters, The Starkers will channel the music of Nirvana and at The Rolleston Bad Obsession play classic rock and metal covers. The big show for Sunday can be found at The Victoria. Spectres are a wall of noise extravaganza, pneumatic guitars and pounding bass all put to relentless beats, if you like to see where rock music is going, this is one possible destination. Support comes from those mad scientists of pop, Super Squarecloud and band of the moment, Dead Royalties fire off an opening salvo of Seattle grunge meets post punk art school dynamics. Over at The Sun inn, Crows Parliament pay a visit, an amazing sounding band a bit like The Pixies doing scuzzy Americana after spending to long listening to Doors albums. Do check these guys out. The rest of the week still has some great music on offer, particularly the soulful, dream pop of Jazz Morley at The Victoria on Tuesday and Sebastian Craig at The Roaring Donkey on Wednesday. Also on Wednesday, the Acoustic Session in it’s new home of The Rat Trap (formerly at the Running Horse) features the dulcet tones of Rumour Shed and the americana/folk blends of Bateleurs. So you’ve heard of The Camden Crawl, The Swindon Shuffle and The Oxford Punt, but if you fancy something similar this Saturday come along to the The Stratton Stroll. I think the title sums up the broad detail but the finer points are that between 6 venues (The Kingsdown Arms, The Wheatsheaf, The Rat Trap, The Crown, The New Inn and the Leisure Centre) you can catch such great acts as the upbeat celtic vibes of Grubby Jack and Missin’ Rosie, the ethereal acoustica of Faye Rogers and Charlie-Anne, the folky Americana of The Shudders, Bateleurs and The Blue Trees and much more besides. As well as great music, Shaun Buswell will be bringing his London Underground Orchestra to the event with the challenge to play all six stages over seven hours. He does like to make things difficult for himself. 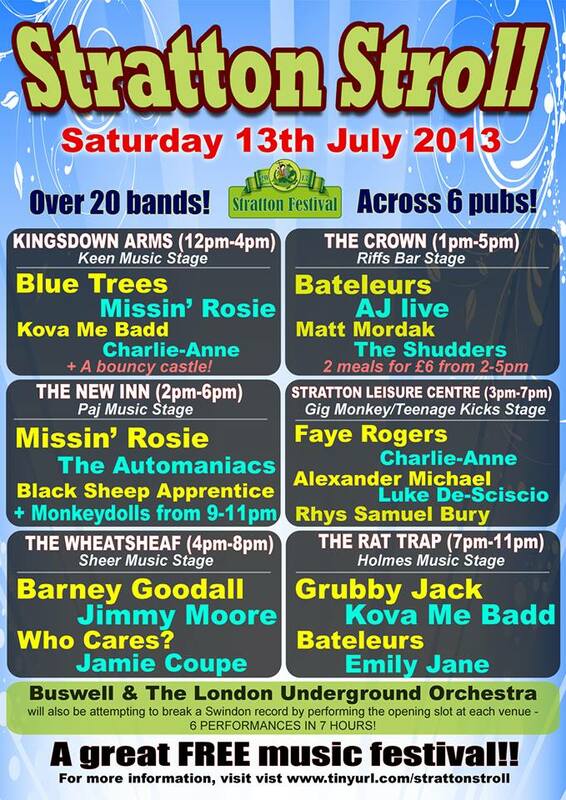 Stratton, Swindon, this Saturday 13th July. get involved. Tags: aj, alexander michael, automaniacs, barney goodall, bateleurs, black sheep apprentice, blue trees (the), charlie anne, crown (the), emily jane, faye rogers, grubby jack, jamie coupe, jimmy moore, kova me badd, luke de-sciscio, matt mordak, missin rosie, monkey dolls, new inn (the), rat trap (the), rhys samuel bury, shudders (the), stratton stroll (the), who cares? The weather may not be reflecting the fact but with three festival gatherings taking place in town in the coming week, to quote Fountains of Wayne – it must be summer. Yes, the rain will be getting slightly warmer, the hail marginally softer, there will be far fewer half dead umbrellas littering the streets and maybe you will be able to use those sunglasses you optimistically bought two months ago, just maybe. Taking these main events in isolation from the rest of the gigging week, it goes a bit like this. The biggest event of the weekend is Riffstock, over at Riffs Bar, (naturally) which features ska, pop, and Indie on Friday and a more family orientated bill on Monday. The two days between are all about rock and metal inside the venue with an acoustic stage outside, best to check the venues website for the full listing. 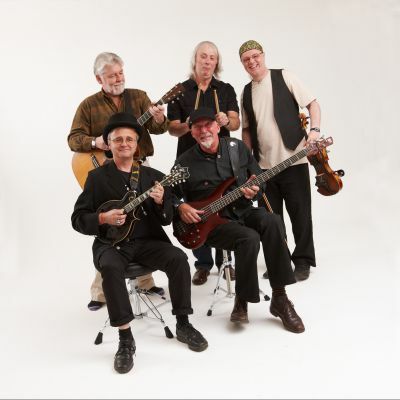 Of a more acoustic, folk and rootsy nature is the Sunbeat Festival at The Sun Inn at Coate Water aptly on Sunday. Again check online for full details but highlights for me are the evocative voice and piano of Louise Latham, the joyous vibe of The Real Raj, the ethereal Faye Rogers and festival favourites Bateleurs. The third and by far the weirdest of the three is the Duck Race which takes place by The Running Horse on Monday and to help celebrate this quirky event the venue’s garden will be filled with great music from the likes of Ethemia, Benji Clements, Josie and The Outlaw, The Blue Trees and Nick Felix. Right, now with the big stuff covered, this is what the rest of the week looks like. Tonight, after what seems like a long time absent from the parish, Talk In Code bring their vibrant, dance rock to The Victoria. Once musically written off as Dad Rock, now they are more like the CD that your musical savvy big brother refuses to lend you. Support is from Jimmy Moore and Marky Thatcher. The Beehive revels in Funke and The Two Tone Baby, a one-man operation that is based around loop-induced, psychedelic blues. Rock and Metal fans not content with the raft of box ticking acts to be found at Riffstock over the weekend can start a day early by heading over there tonight for a six band line up. Headliner, Girls That Scream, is a collision of dance beats and white hot metal riffs and AshestoAngels are a riot of dark energy, glorious synth washes, aggression and melody. Also make sure you catch I’m Designer a band that play with sound in such a way that I can only describe them as indescribable. On Friday, Shaun Buswell is at The Victoria talking about his recent 121212 Challenge, there will be music from a small version of the band and probably slides, flip charts and pointy sticks. All sounds very Dave Gorman to me. If that’s not your sort of thing, maybe a trip to The Beehive instead for Port Erin, a band that deconstruct rock music and blend it with jazz, funk and chilled late night vibes. Original music is hard to find on Saturday but if you aim to watch The Four Fighters at The Victoria you will get to see the soaring, Muse-esque creations of False Gods. Sunday on the other hand is rammed with options. The big draw is going to be at The Oasis when Jahmene Douglas and Josh Kumra return home to headline a Best of Swindon show. For my money, however, the more interesting acts are further down the bill (nothing personal Josh but I really liked Kicaberry!) in the shape of the wonderfully considered and spacey music of Colour The Atlas and Theo Altieri. Elsewhere you can find acoustic, jazz-folk courtesy of Cindy Stratton and Marius Frank at The Beehive, dance floor classics at The Victoria with The Funk’daMentals and piano led, jazz standards at Baker Street from The Alex Steele Trio. Wednesday is all about rounding off a busy week at The Running Horse with another outing for the soulful and atmospheric Benji Clements and the ubiquitous rising star Charlie-Anne Bradfield. There’s a lot of music in town this week that proves the point that it doesn’t have to be big to be clever, that sometimes the biggest impacts can come from the subtlest of approaches. Take the Songs of Praise show at The Victoria tonight. Headliners, Ethemia, work in that age-old troubadour tradition of two acoustic guitars and two vocals and the result is a breathtaking blend of quiet majesty and sensuous, hushed tones. Antonio Lulic brings open and honest story telling songs of impressive craftsmanship and opening up the night is Louise Latham, a pianist who wrings every ounce of grace and grandeur, atmosphere and heartfelt sentiment out of her piano creations. As if to balance that chilled offering, The Beehive is throwing a party in the form of psy-trancers Zetan Spore, less a band than a riot of euphoric trance, techno, strobe lights and hypnotic beats. Somewhere in between those two extremes you can find the rocked up blues of Ian O’Regan at The Rolleston. If you can’t find some music to suit on Friday, then you may as well donate your ears to charity, as it is the busiest night we have had in town for a long time. 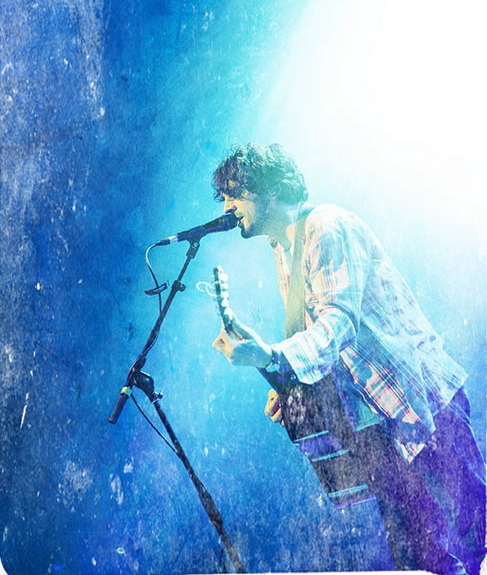 Two big events go head to head, firstly in the form of McFly’s greatest hits tour which is at The Oasis; those with more discerning tastes should head down to Basement 73 where one time Bluetones front man Mark Morriss and ex-Seahorse, Chris Helme (pictured) grace the stage. Incidentally, Helme’s latest album, The Rookery, was one of my musical highlights of last year, do check it out. An interesting venture takes place at the Central Library. Pedalfolk combine their love of cycling and folk music by using acoustic transport to get to their acoustic gigs. Pedalfolk are Robin Grey, Tim Graham and Katie Stone Lonergan and have given rise to the colloquial exclamation, “Bert Jansch on a bike!” There are a few tributes kicking about as well – Who’s Next play tribute to Acton’s finest at Riffs Bar and at The Victoria The Ramona’s are an all girl tribute to The Ramones, arrive early to catch 2 Sick Monkeys in support. Bateleurs will be plying their European folk meets Americana trade at The Rolleston and The Parlour Kats aim to bluesrockfunkalise your soul with their vibrant genre hopping tunes at The Beehive. Saturday kicks off with a bit of ska at The Victoria with The Nomarks who warm up for local keepers of the flame for all things reggae and rocksteady, The Erin Bardwell Collective and at The Rolleston, The Beatholes throw a punked out musical curveball into the Beatles Back catalogue. If you are looking for something a bit more up market, catch Swindon’s favourite brace of Stevie’s at The Weighbridge Brewhouse. Gilmore ‘n’ Jaz play acoustic Blues and Jazz from the pre-war era and manage to dose it with lashings of Latin vibes and that wonderful Django Reinhart gypsy jazz swing: where’s Stephane Grappelli when you need him? The Art Centre on Sunday plays host to the monthly Lazy Sunday Afternoon show, hosted by Mr Love and Justice. This time they invite along The Black Feathers, a brilliant acoustic duo who up until recently have been on a stateside odyssey (possibly making sure The Civil Wars aren’t trying to make a comeback!) and Minnie Birch who sings “sad songs to make you happy” apparently. More great acoustic music can be found at The Sun Inn at Coate that evening. With a voice that is built of pure soul and the ability to blend normally mutually exclusive songs into wonderful new forms, Benji Clements is definitely one to watch. Also on the bill are Drew Bryant and Aiden Moore. And finally in a changed to the bill, The Running Horse Sessions on Wednesday will feature the genre-defying Sierra Hurtt, so expect influences to range from the Philly Soul vibes of her birthplace to atmosperic pop and from rock and roll to blues and everything in between. There has been a lot of concerned discussion recently over rumours that The Victoria, pretty much the constant in the ever-changing local musical landscape of the last eight years, is up for sale. Just to put you at your ease, here are the facts straight from the horses mouth – that’s just a turn of phrase and in no way implying that Mr Young is anything other that 100% prime beef. Yes, the business, i.e. the internal workings rather than the building itself, is on the market, but Dave and Anna want to stress that they intend to leave it in safe hands so that it continues very much in the same vein. When you think about it The Victoria has grown to become part of the national music circuit (just look at their gig roster for proof) so any successful buyer is likely to come from a similar background rather than just being the ex-landlord of The Kebab and Calculator whose claim to fame is a once a week acoustic night and a quarterly under 18’s Battle of The Bands. Remember, Heraclitus told us “There is nothing permanent, except change” but then he did drink too much, though his first album was a real cracker. So fittingly and inevitable we start tonight at The Victoria. It’s Bands and Burlesque again and this time it’s a chance for newcomers to the dance genre to get a bit of a showcase plus music from psychobilly crew, Cowboy and The Corpse. And if retro is your thing there is competition out at Riffs Bar in the shape of The Ludwig Beatles, who recreate the iconic band in all their, rock and roller, mop-topping, acid eating and genre defying glory. The Beehive has music from John Blek and The Rats, a well travelled six piece who specialise in folk, country and Americana. Another constant of our local scene is Holmes Music and to celebrate 50 years in the music business they are arranging a series of shows, tonight they take over The Victoria and offer us none other than Nick Harper (not pictured). Anyone spawned of the iconic Roy Harper and brought up in a house with a continual procession of Zeps, Floyds, Who’s and other heroes was always going to end up a musician and as such has been described as doing “things to his guitar that would have had Segovia weeping into his Rioja” in a good way I presume. If that wasn’t enough, Colour The Atlas is the support, a clash of cinematic folk, chilled trip beats and swaths of sensuous, late night atmospherics. Now that’s what you call a celebration. More sweet music comes in the shape of Antoine Architeuthis and The Cotton Candy Rebellion, joyous acoustic folk tinged with classic rock and with a spiritual vibe running through the centre. He is at The Beehive. The Furnace is the only place to be on Saturday as Peter and The Test Tube Babies roll into town. Originally part of the Punk Pathetique sub-genre that incorporated absurdist subject matters and humourous lyrics, don’t be fooled by such a seemingly silly approach as by contrast they are one of the most polished and professional bands on the punk circuit today. Support comes from the incorrigible local punk stalwarts and all round good eggs, Charred Hearts and Strength in Blunders, a new and infectious pop-punk trio but containing some very familiar faces. Possibly as far removed from that gig, which is what I love about the versatility of music, is The Antonio Forcione Trio at The Arts Centre, a musical tapestry of African and Latin influences interwoven with flamenco, classical and Indian rhythms. There is a lot to offer on Sunday, a brilliant tribute to Kate Bush, Never Forever, is an all seated affair at The Victoria; folk, skiffle and rockabilly are delivered acoustically by The Dylegans (Lonnie and Bob…gedit?) at The Rolleston and culture vultures have the choice of jazz guitarist Terry Hutchinson at Baker Street or recitals of Schubert and Shostakovich at the Arts Centre. 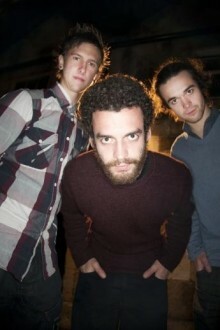 More jazz is on offer at Baker Street on Tuesday with Tantrum, a trio made up of Roger Beaujolais, Tommaso Starace and Paul Jefferies. And as always we find ourselves rounding off the week at The Running Horse for it’s regular Wednesday session, this time featuring Bateleurs. For the few of you not in the know, and if not why not? Bateleurs alchemize Americana, English folk and Celtic vibes into wonderfully accessible and joyously upbeat tunes. Support comes from Simon Allen.